Free Montgomery, an organization supporting the homeless through providing situations for creative expression, ran a food and clothing drive from November 12th through December 18th that hosted two recycled cars and two recycled hoods to be spray-painted by those who donated. Alvin Collier from Alvin’s Automotive Recycling in Oakland, California provided these two cars and two hoods. Collier is very passionate about automotive recycling and was excited to be able to give new purpose to these cars and car parts. Collier speaks on the event, “We were able to let them borrow the cars so they could paint them and then we took the cars back.” Upon asking him what they did with the cars after this event he replied, “We recycled them of course!” The drive was all about community involvement and had an air of encouragement and support. Collier is very supportive of his community and does what he can to give back. “I like helping my local community in any way I can. When Free Montgomery approached me with this idea, I jumped at the chance to further the auto recycling industry and branch out into supporting the arts as well.” And that he did. Collier also supports the local artists by giving them pieces of his scrap metal for sculptures. He explains, “It may just be scrap metal to me, which has a monetary value. However, to the artists it might be just that piece that they have been dreaming about for a work of art of theirs. I let the guys look through my bin and see them get really excited.” Collier here demonstrates the versatility of these car parts and pieces of metal that many believe to be useless and broken. This event not only helped those in need, but it also furthered the automotive recycling industry and displayed the endless possibilities these car parts have. My name is Alvin Collier, owner of Alvin’s Auto Recycling Oakland CA. I have owned it since May 1985. Prior to that Iy name is Alvin Collier, owner was employed in the auto recycling business since I was a young man. In total I have been in this business for 40 plus years. Things have changed dramatically over those 40 years, not only in the economy, but in our industry and that is what I want to talk about. Back in the day there was not as much competition as there is today: back then it was just us dismantlers at the auction to purchase cars, and now it is anybody and everybody from all over the world. Other competition that was not as big back in the day is all the different parts that are available aftermarket today. The lack of access to inventory to buy, mixed with a lot of parts we used to sell that are readily available aftermarket has cut into our profits. This means to me that I had to find more money in the cars I was already processing. I pre-dismantle about 400-450 cars per year at my store. We process the car as normal: draining all the fluids and pulling and tagging all the parts we are going to inventory. This is where the extra money comes in. We save as much of the wiring harness from the car as we can that is easy and accessible. This includes under the hood, in the trunk taillight harness, and then if you pull the inside rocker plastic covers there is always a big loom of wires right there that is very accessible to cut. We never use to save these harnesses — all we saved was the battery cables in a 55 gallon drum. I would get maybe 2 of these barrels full in a years’ time with a low value. Now that we have started saving as much of the wiring harness as we can, I am planning on bringing 5-7 4x4x4 metal bins to the mill per year, which should get me thousands of dollars. Now that is squeezing money out of cars! We also use these same 4x4x4 metal bins for a number of other things that are easy and not time consuming when processing a car. We have a bin for clean cast iron such as brake rotors and drums (which we do not stock anymore because of the aftermarket suppliers). These rotors and drums are very easy and quick to pull off as we process the car. The other bins we have are for clean aluminum and one for dirty aluminum. There is a lot of easy aluminum to pull off the engine compartment after the engine and transmission is out of the car, AC condenser, AC lines, AC receiver dryers and evaporator cores. Also all the quick and easy aluminum on the engines such as valve covers, intakes, and mounting brackets are usually quick and easy. The next way we way we are making more money off of the same cars is by selling parts that we are not saving for inventory to core companies. If you have not been doing this I personally know this is a way to make more money off the same cars. In the 14 months I have been selling these kinds of cores to this company we have generated over $8000.00. Now that is making more money off the same cars! Just for an example here is a list of parts I recently took off of one car that we were dismantling. This car is a 1995 Honda Accord EX 4cyl: auto the core company is going to pay me for the front calipers, the engine computer, the power brake booster, the rack and pinion, and the power steering pump. That is over $50 I would not have gotten if we did not deal with this company. These parts that I do sell to this company will go in a bin and when the bin is full I call them and they arrange and pay for the shipping to them. They also have a program where they will buy your excess inventory that you may have duplicates of or maybe it has just been sitting on the shelf forever. Something we just started recently was to start saving the O2 sensors. There are companies that will buy these, so start saving them now in a box or bucket. Another tidbit is to save all the extra keys you get with the cars. Find keys throw them in a bucket: keys are brass, and brass is roughly .50 cents a pound. Question: how much does a 5 gallon bucket of keys weight? I have my bucket started and am waiting to find out. Will you? Talk with your representative from your local scrap recycler (he is an associate member of your state or local association): ask him to help streamline your dismantling operation to help you make more off of your scrap you are already sending him. I hope after reading this article the ideas help you like they have helped me make more money off the same cars. All of this information I have learned from attending and participating in not only my local recycling association, but also the state association. I hope to see you at this year’s state convention in Tahoe and hear your success on how you were able to make more money off the same cars. Oakland, Calif.—Inexpensive OEM parts are readily available from local recyclers and using them is good for the environment, for businesses, and for customers, Alvin’s Auto Recycling Owner Alvin “Flash” Collier said. According to the Automotive Recyclers Association’s (ARA) newly launched www.greenrecycledparts.com website, recycled auto parts save an estimated 80 billion barrels of oil annually, and the total amount of oil and fluid reclaimed yearly by auto recyclers is equivalent to roughly eight Exxon Valdez spills. “No one even called it recycling when San Pablo Auto Wreckers opened on this site in 1923,” Collier said. Alvin’s resells or recycles everything from vehicles, including wiring, he said. “Copper wiring has become a valued recyclable. We used to fill a small can, and now we fill a large bin,” he said. “In-house, we recycle all of our paper, bottles, cans, and cardboard. Recycling is taking responsibility for our own waste and our environment. ” Collier’s wife and co- owner, Isabella, said that when selecting a recycler, it is important to confirm their certification. Certified recyclers are held to the highest standard of safety and practices, and provide the highest standard of products, she said. As a member of ARA and a Certified Automotive Recycler (CAR), Alvin’s is independently audited for compliance. “We are all about doing it right,” Flash Collier said. “It is a lot of work, but well worth it in the long run. ” Independent audits include facility inspections to ensure a clean and safe workplace plus a business practice review including licensing and permitting, he said. Audits also look at the disassembly procedure, recycling procedures, and the identification, categorization, and storage of parts, he said. “CAR certification has specific requirements for business procedures and the products we sell, as well as verifying regulatory compliance,” he said. Today’s recycling process includes documentation of the end-of-life vehicle as well as its hazardous components, Collier said, and detailed records are maintained for state, local, and federal officials. Environmentally hazardous materials including tires, oil, coolant, batteries, wiring, and mercury switches are removed, documented and recycled. The balance of the vehicle is disassembled with each part labeled, including year, make, and model, as well as the vehicle identification number (VIN). “Vent glass, engine, or fan motor, it is all right there. They can take one look at the label and know exactly what vehicle it came from,” Collier said. Every receipt provides additional documentation including Alvin’s dismantler license number and the VIN information from each of the donor vehicles, he said. Besides the proper disposal and accounting of hazardous materials, information regarding the recycled vehicle is reported to the California Department of Motor Vehicles and the Department of Justice prior to being sent to scrap. Collier said auto recyclers are a key part of the long-term environmental solution. 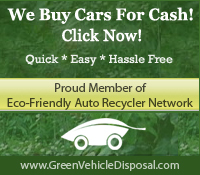 “Repair shops, collision shops, and dealerships should all be partnering with a recycler. It is good for their customers, good for their business, and good for the environment,” he said. When Alvin “Flash” Collier bought Alvin’s Auto Recycling in 1985 he only had two things to his name, a Chevrolet El Camino and his last paycheck. But, that didn’t stop him from fulfilling his dream to run his own auto recycling facility, something he wanted since his childhood. “My youngest memory was climbing up the side of a forklift with a rope to get inside of it,” he recalled. Growing up, Collier worked in many of his dad’s, Henry Alvin Collier, auto recycling facilities. “I used to sell the shoes I found in the cars. I went on to stripping the wires, then the heater cores and later started pulling parts. I remember putting an intake manifold in a ’64 Chevelle when I was in junior high.” It was his dad who gave him the opportunity to buy Alvin’s Auto Recycling in Oakland, Calif. They planned on being partners in the business, but Collier bought him out just a few months later in September 1985 and never looked back. In fact, it’s because of his experience and dedication to the business that his employees nominated him for the Locator UpFront’s 2012 Boss of the Year.“He’s just an all-around good guy,” said Manager Freddie Hebert, who has worked with Collier for more than 10 years and has nominated him in the past. “He’s fair to his employees. His biggest strength is his ability to communicate with us.” That’s because Collier has been in all of his employees’ shoes at one time or another. “I’m hands on,” Collier acknowledged. “I’ve done everything. I started in the back of the wrecking yard. I swept, pulled parts and was a full-time dismantler, plus a counterperson at three to four different places. Then I became an owner.” As an owner, Hebert said Collier is compassionate, honorable, funny, understanding and conducts himself with integrity. Collier said his management style comes from the past bosses he’s worked with. “I’ve worked for guys that were not good bosses and I’ve worked for some really great bosses,” he explained. He said he took the best from the best bosses and learned what not to do from the worst. For example, Collier thanks each employee for a job well done when he hands out their pay checks. “When they say thanks to me, I answer, ‘No, you’ve earned this check, this is me thanking you.’” Collier also buys each employee a cake on his or her birthday, and he’s been doing that for the last 20 years. He said his aunt used to bake him a cake every year, so it’s a tradition he started with his employees. It is a gesture that doesn’t go unnoticed. “I had one guy, who was a grown man that had never had a birthday cake,” Collier remembered. “He had tears in his eyes when he got that cake.” “What other boss do you know that gets a birthday cake for you every year?” asked Hebert. The answer is the kind that not only rewards his employees with bonuses and birthday cake, but reaches out to his community as well. Alvin’s Auto Recycling donates used auto parts to area nonprofit organizations, buys its shirts from the Handicapped Sales Workshop (www.hsw.net) in Margate, Fla. and is involved in yearly Rebuilding Together projects. Green Recycled Parts is one member initiative that is a must for your business. Copyright © 2019 Alvins Auto All Rights Reserved.